Hardy & Greys Ltd are pleased to announce that Lee Taylor is the second new member to join their Coarse Academy this year. 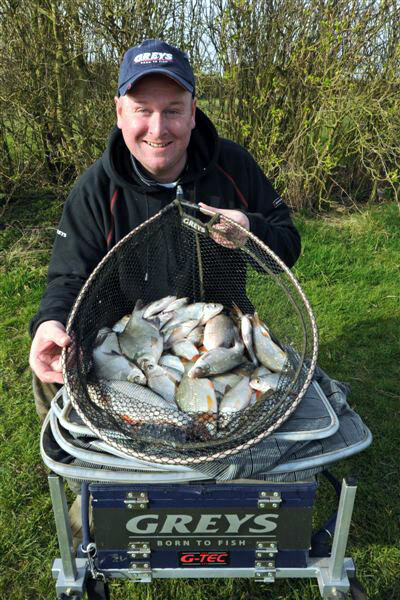 Lee, from Warwickshire, started fishing when he was 7 years old on the canals around the Warwickshire area, before progressing to win junior matches and successfully compete outside the junior age group in the club circuit. Lee, who is well known amongst the online angling community and is a Total-Fishing.com and Total-FishingClub.com stalwart, started fishing waters including Barston in Solihull and Spring Pools in Rugby, which accumulated in him winning the Intersite individual at Barston in 2006 and coming 4th in the final of the Stafford Moor Mania in 2007. Lee particularly loves fishing waters with Skimmers and Carp in and , his favourite methods are method feeder, and fishing paste on the pole. For silvers he likes to fish caster shallow. Lee joins Academy Manager, Dave Coster, John Bailey, Cathal Hughes, Tony Runnalls, Dave Burgess, Andy Charlton and new member, Jonathan Watt in the Academy.